We can all agree that for a Cape Town holiday rental to be considered truly superior it would have to adhere to some really high standards. It has to be aesthetically pleasing yet luxuriously comfortable; it has to have location, position and of course it has to have that ‘wow’ factor – something that can only be achieved by acute attention to detail. The great news is that finding such a holiday villa is not as difficult as you might think; actually it is not difficult at all. 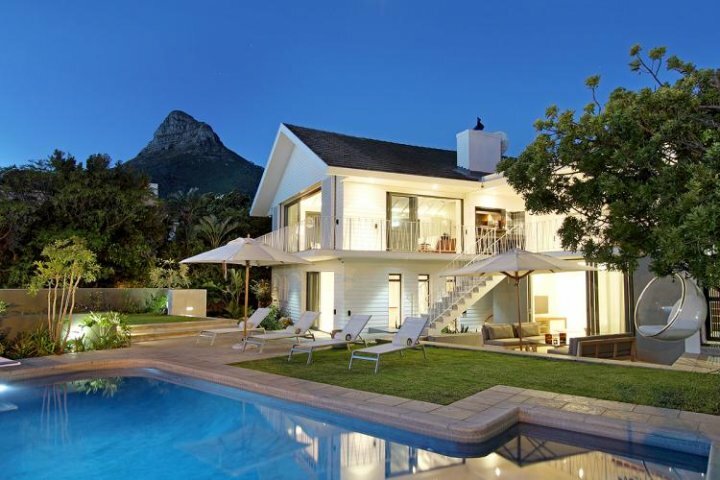 Villa Cape Town is the leading specialist in luxury holiday rentals in the city of Cape Town and surrounding areas offering quality service and value in all of their holiday villas and apartments. The hardest part of the entire process will be deciding which one of their gorgeous villas you would like to stay in. This stylish and beautifully renovated Victorian home is situated at the far end of the historically significant Bo-Kaap. 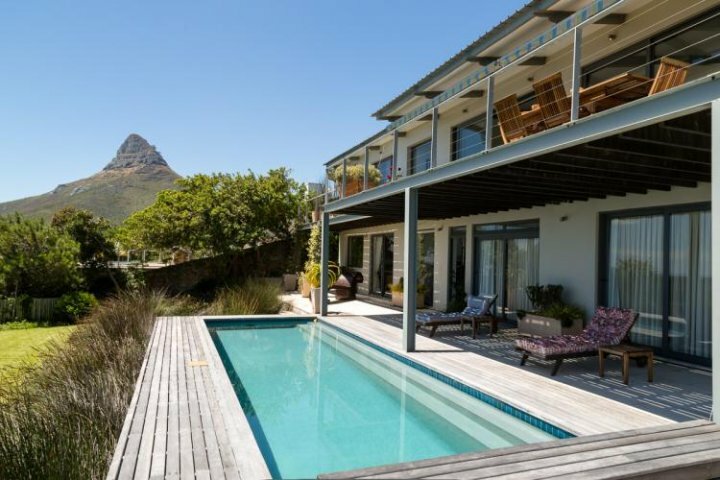 This stunning villa is the perfect place from which to explore this colourful cobble paved area of Cape Town. 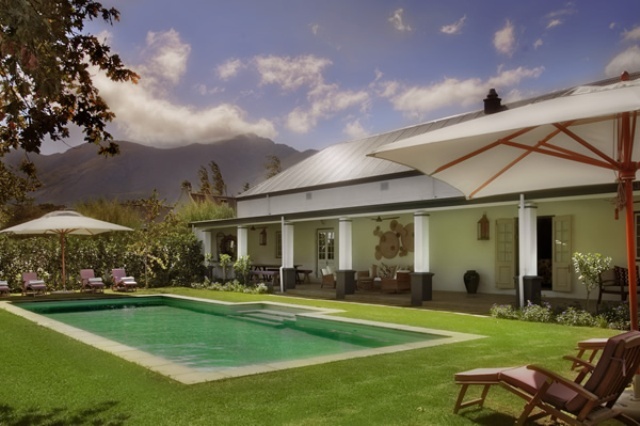 Situated in the heart of the charming Franschhoek Winelands, this is an elegant and sophisticated holiday experience. 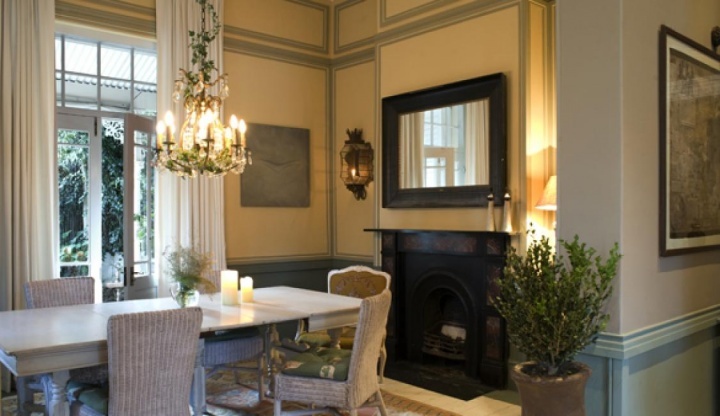 A stay in Franschhoek Grange includes butler services as well as continental breakfast served daily. 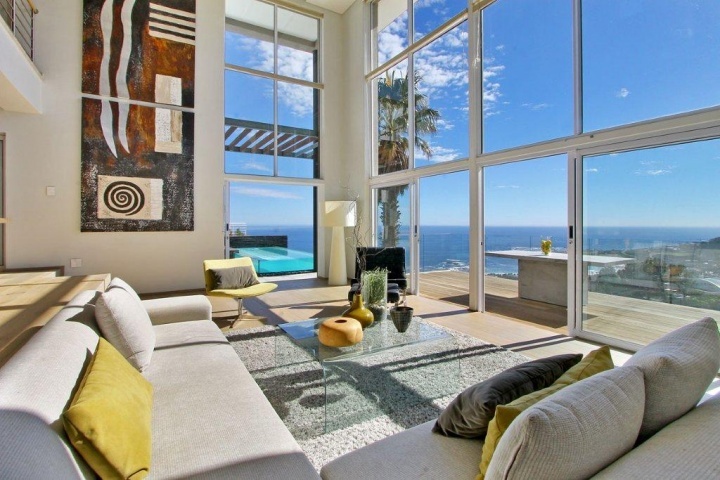 The View Penthouse is a gorgeous penthouse with unobstructed sea and mountain views situated a mere three minutes from the pristine Camps Bay beach. A glass-rim flow pool, two entertainment decks and a large chef’s kitchen are just some of the features that add to the uniqueness of this spectacular property. Relax with your family in a private child friendly holiday home for a superb hassle-free getaway in the top travel destination of Cape Town. 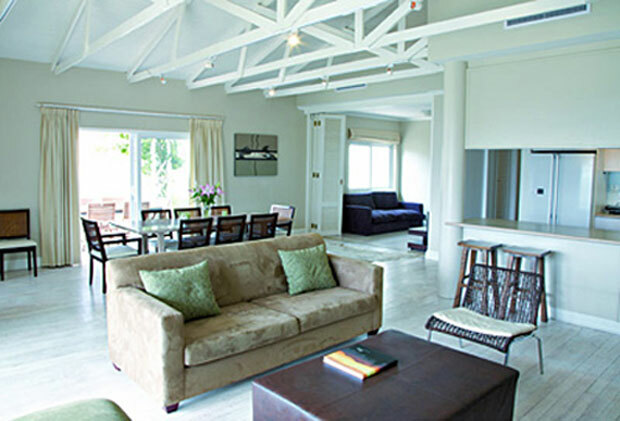 Luxury Villa’s self catering holiday accommodation have all the modern amenities and comforts of a home away from home, ensuring that all family members can immediately unwind and enjoy each other’s company. With spacious open plan relaxation spaces and entertainment areas for good meals and conversations, your holiday will be fantastic and memorable. Cape Town is a top travel destination among families, couples, trend setters and outdoor enthusiasts because of it’s mirriad of things to see, places to go and people to meet. Where better a holiday playground than the enchanting worldly city of Cape Town and it’s surrounds, where nature and culture are so accessable and inspiring. Take your family to the incredible Two Oceans Aquarium, picnic at Boulder’s Beach, learn how to kitesurf, hike Table Mountain, go to a museum, visit the legendary Green Market Square, or just dine alfresco by the rim-flow pool of your private villa. The options are limitless! Whatever you are after, a holiday in the Mother City will not disappoint. Luxury Villas have accommodation catering to families of all ages, so speak to a representive to find the perfect accommodation to suit you. Villa La Cabana has been designed specifically with the ‘family’ in mind. The luxurious bedrooms can be arranged according to your needs. Two entertainment area lead out to the garden, which features a fabulous swimming pool with diving board and a removable child-proof safety fence. This is a child-friendly house supreme. Shanklin Villa has a lovely open garden area, a big pool and large terrace equipped with a gas braai perfect for an enjoyable family day outdoors by the pool. 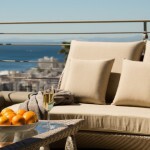 Enjoy superb sunsets and views of the ocean and mountains from the terrace, after a day of exploring the hotspots of Cape Town. What a fabulous home for a family reunion! Child friendly features include a pool fence, cots, high chairs and a baby sitting service. Views Villa has off street parking, a lock up garage and monitored electric security system. 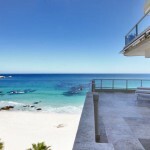 A short stroll away will lead you to the famous Camps Bay beach and promenade with top eateries and shops. The secluded Bakoven Beach is also close by. 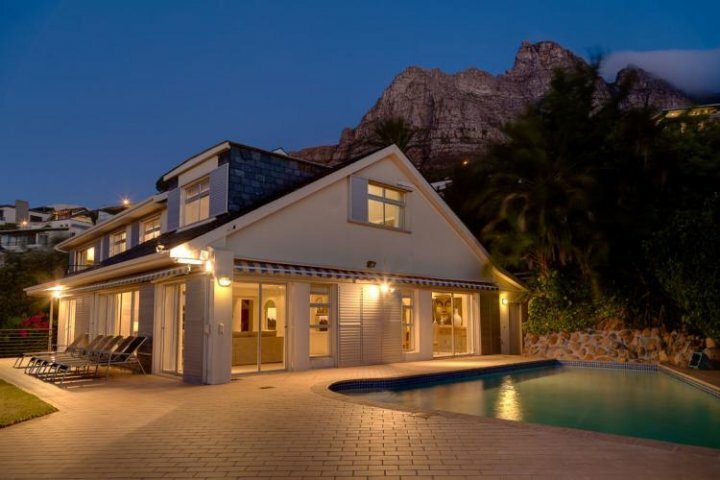 Luxury Villas has a wide selection of holiday rentals for families wanting to spend the Christmas season in the beautiful city of Cape Town, offering top class accommodation with all the trimmings needed to make your stay in the Mother City an unforgettable one. Whether you prefer to be within walking distance to the beach, close to the city lights or in a hidden gem far from the maddening crowds, Luxury Villas has the perfect rental property for you. Give yourself the perfect gift this Christmas and book your family holiday in Cape Town. This gorgeous home has spectacular uninterrupted mountain views at the back of the house and beautiful Camps Bay sea views from the front. It sleeps twelve people comfortably and is one of the few homes that allow you to bring your furry family members along. The large kitchen in this exquisite six bedroom Camps Bay home is perfect for preparing your festive season feasts while enjoying the company of your loved ones. There is a large dining room perfectly suited to a Christmas dinner or set up around the pool for a Christmas lunch and enjoy the breathtaking sea views. 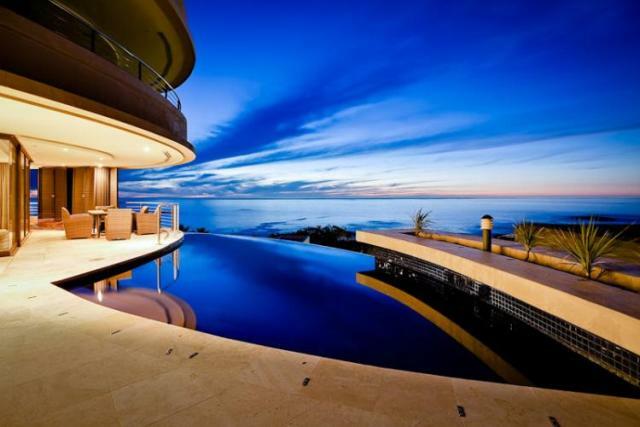 Fresnaye Dream is a stunning three story, six bedroom villa situated in the sought after, wind free area of Fresnay/Bantry Bay. It is an entertainer’s dream with its spacious kitchen and large gathering rooms that open up to magnificent sea and mountain views. 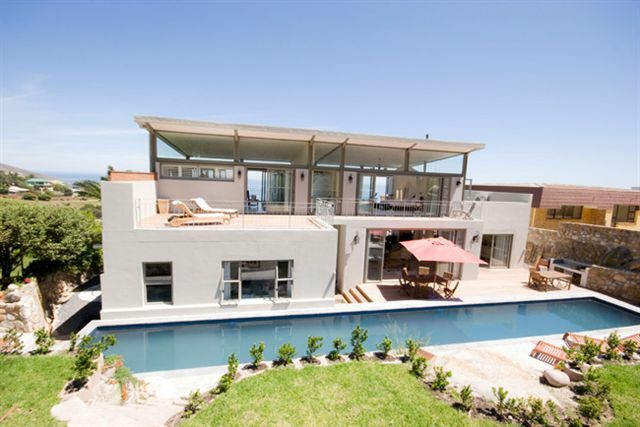 Our selection of commodious Cape Town self catering villas with gorgeous outdoor decks with pools will delight you. Choose a holiday villa with pool and you instantly have reason to sit back and relax. Is it the sounds of the water lapping that instantly soothes? Could it be the azure crystal clear shimmering water or the refreshing splash enveloping your body when you dive in that invites waves of relaxation through your body? Perch yourself on a sun lounger with a good book and sun hat, enjoy cocktails with friends, throw a pool party, or just enjoy that easy holiday feeling with your family. Whatever appeals to you, make sure you do it in one of our self catering luxury villas with pool. 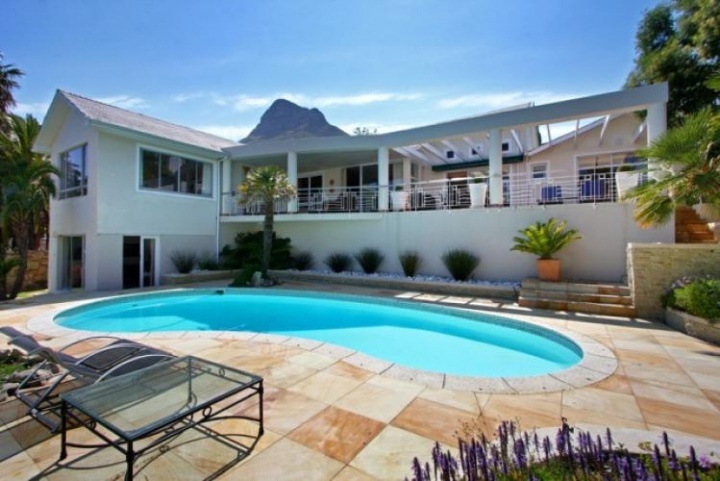 Hely Villa boasts a gorgeous outdoor living deck complete with pool loungers and views of the Atlantic Ocean and the Twelve Apostles mountain range. The interior architecture has maximised the views in all directions with lovely big windows giving this property a lovely indoor – outdoor feel. This contemporary ocean-front apartment features a cobalt blue rim-flow pool, perched on the edge of the property overlooking the ocean. 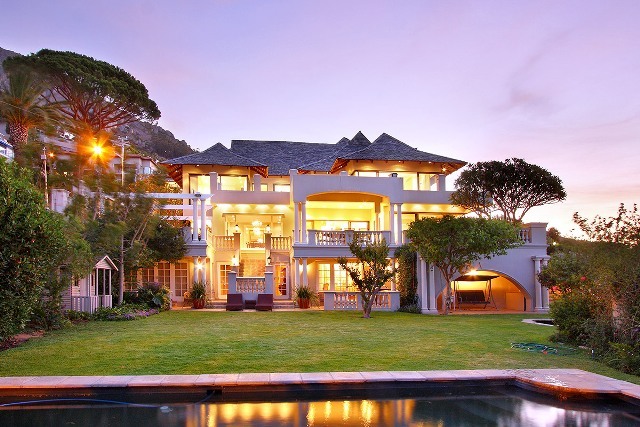 This Camps Bay villa is an ideal choice for the discerning traveller, with sophisticated architecture, designer finishes, state of the art surround sound system and Zen inspired water feature. There is no question. 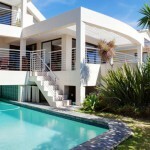 A Cape Town villa rental with pool is first prize! Contact us for the holiday home that suits you.